Raise the curtains and clear the stage! 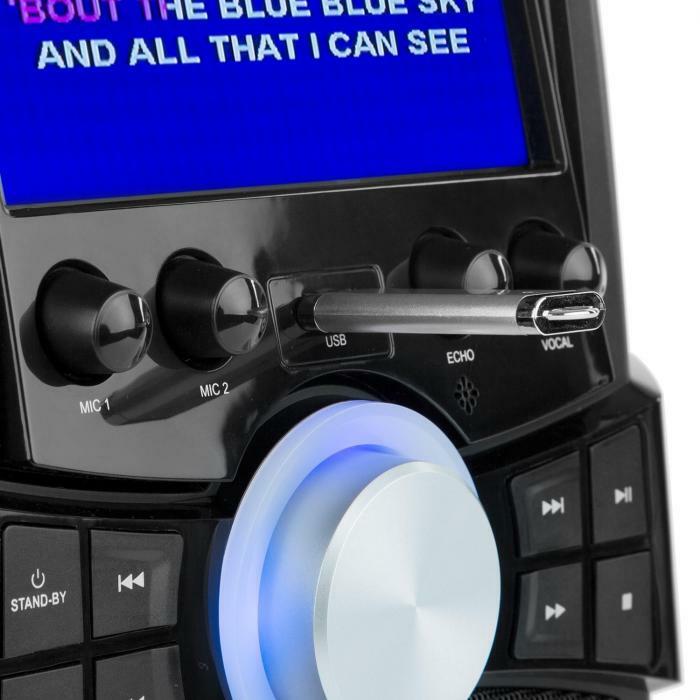 The auna Stage Hero karaoke system makes you the star. Whether alone or as a duo - you’ll be a hit at the next party! 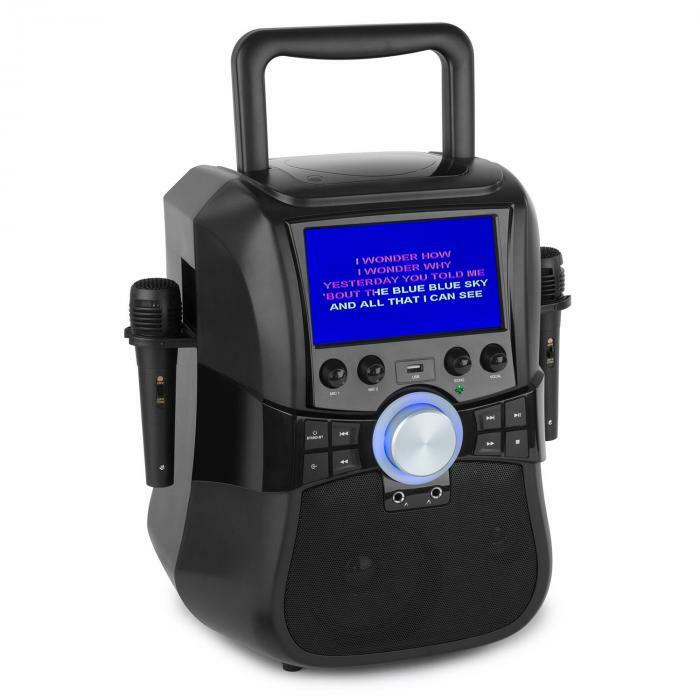 The auna Stage Hero karaoke machine lets you bring everything you need with you for a hearty music battle! 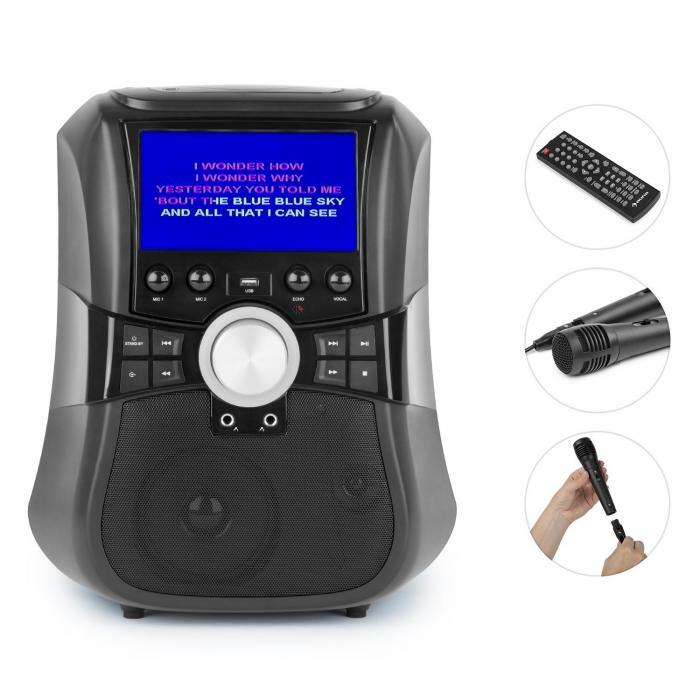 To play your hits, the system has a CD player, USB port- The USB is for recording and playback, AUX two-channel input, FM radio and the ability to connect wirelessly via Bluetooth available - enough choice for virtually any format. For tidy sound, the Stage Hero features a 5” full range and 1.5” tweeter speakers built in directly, and may also be easily connected to externalTV or HiFi equipment to further enhance the sound. The 7” TFT display provides assistance to your karaoke parties, allowing you to directly play inspiring music video with text subtitles. Two individually controllable microphones complete the karaoke fun. And the best part: thanks to the built-in 11.1 V / 2200 mAh Li-ion battery, low weight and top-side carrying handle, you can take the Stage Hero with you anywhere: the beach, the park or a friend’s house. 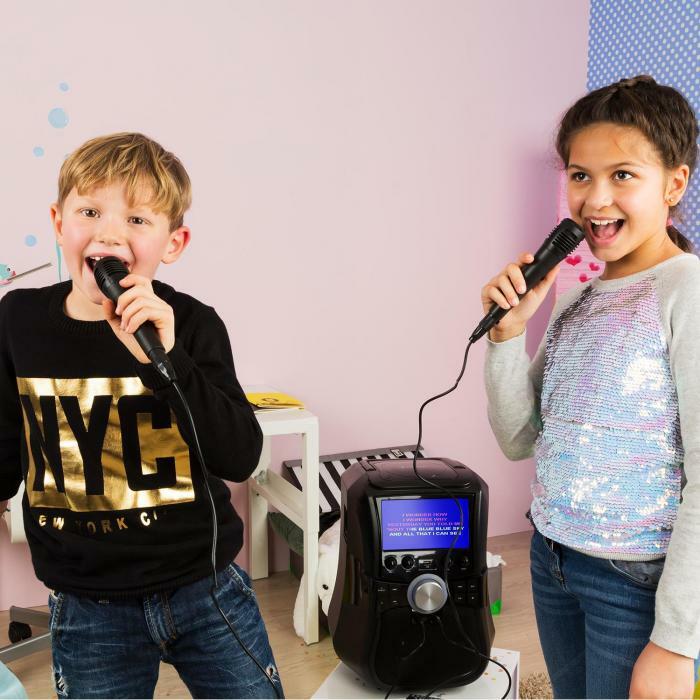 Immerse yourself in the world of music: with the auna Stage Hero karaoke system you’re the star of the show.